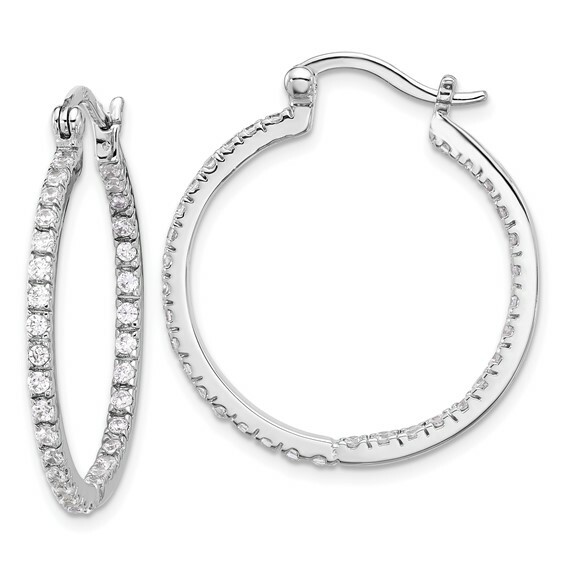 Sterling silver inside and out cubic zirconia earrings have a wire and clutch closure. Measures 1 1/4 inch tall. Thickness: 3mm. Import.